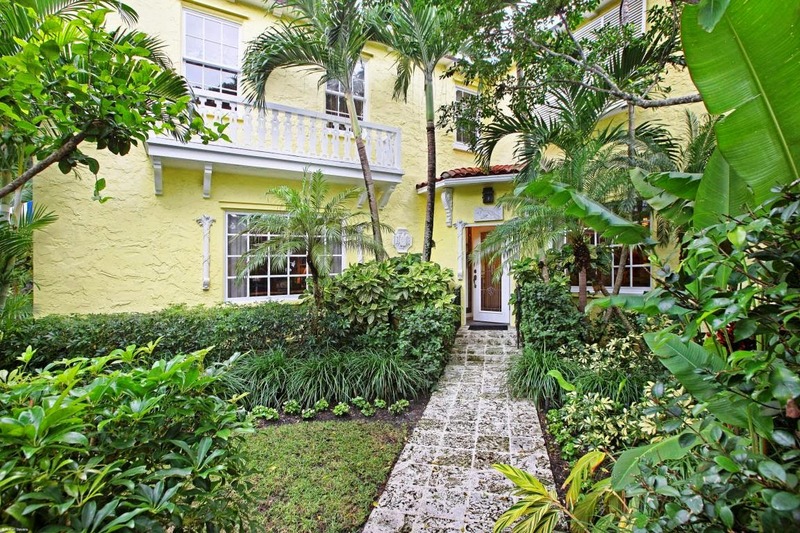 This exquisite 1927 Primavera Estates home was just listed on the world renown island of Palm Beach Florida. This home features 5 bedrooms, 3 bathrooms and one half bath in 4,279 square feet. This Mediterranean inspired home features a variety of the best custom interior designs Palm Beach has ever seen including beautiful stenciled wood beamed ceilings, a custom rod iron staircase with painted steps, an elegant dining room, a relaxing study style living room, charming drapes, pecky cypress doors, a beautiful garden room, a shaded outdoor cabana, and a beautifully landscaped private setting with views to the lush tropical garden from the Palladian windows. Palm Beach is an opulent town with 47 miles of pristine Atlantic coastline, 12 world class shopping districts nearby, a plethora of decadent dining options, a variety of award winning golf courses and an immense amount of nearby entertainment. Palm Beach is home to Worth Avenue which USA Today's 10 Best has recognized as part of its "10 Most Iconic Streets" and the readers of Condé Nast Traveler have voted Palm Beach as one of the top five places to shop in country. Palm Beach is separated from West Palm Beach and Lake Worth by the Intracoastal Waterway which gives fisherman and day cruisers the perfect location to enter the ocean at the Palm Beach Inlet.